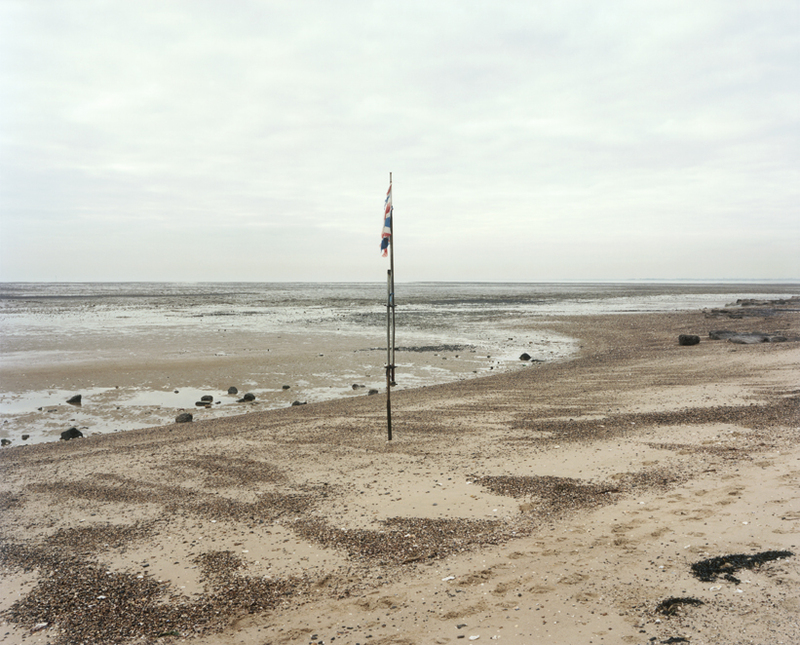 The New English Landscape | For more than a decade we – photographer Jason Orton and writer Ken Worpole – have documented the changing landscape and coastline of Essex and East Anglia, particularly its estuaries, islands and urban edgelands. We continue to explore many aspects of contemporary landscape topography, architecture and aesthetics, and in 2013 published our second book, The New English Landscape (Field Station | London, 2013), the second edition of which was published in 2015 and is now out of print. There is an unexplained omission in the Wikipedia entry for the Edwardian writer, Arthur Morrison, most famous for the East End novels, Tales of Mean Streets (1894), A Child of the Jago (1896), and The Hole in the Wall (1902). No mention is made of his fascinating novel, Cunning Murrell (1900), a story of white witchcraft in Hadleigh, Essex, based on an actual person of the novel’s title who lived there in the middle of the 19th century, and whose fame extended across the county. I spent some childhood years in Hadleigh, which is why it has a special appeal, but not so much that it would make me think it a better novel than it is – and it really is very good. Reading it again, some of its descriptive passages of rural fairs, the countryside at night, as well as the dialect speech are as vivid as the best of Thomas Hardy, and its evocation of isolated, superstitious, and benighted rural life equally convincing. As someone resistant to ghost stories – even those of Joseph Conrad or Henry James – and all the literary malarkey about marsh spirits, hauntings, devil worship and tumbledown cottages located at the crossroads, I’d make an exception for Morrison’s novel. Cunning Murrell is not malarkey. It is about the ways in which gossip, male power and collective mentalités, can gain hold of isolated, closed communities, especially those that have turned on each other. It might be through religious fervor, misogyny or class sentiment, but in this case it is largely about the ‘natural work’ of crime (smuggling and the distribution of contraband), which made up a significant element in the estuary economy of Hadleigh and its neighbor, Leigh-on-Sea. Fear of betrayal is ubiquitous. Set in 1854, the novel’s setting, Hadleigh, is described as ‘thirty-seven miles from London by road, but a century away in thought and manners’. The names of the pubs in the novel are exactly the same as the pubs still there in Hadleigh today: The Castle and The Crown. 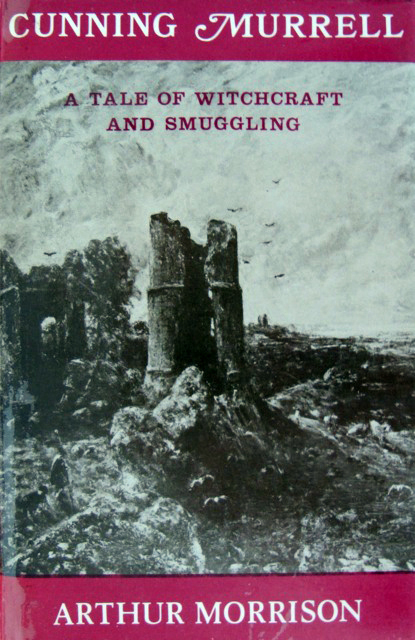 And Hadleigh has always been marked by its close proximity to the windswept downs and marshes overlooking the Thames Estuary and the distinctive ruins of the 13th century castle, famously painted by Constable, but in this novel the cellars of which are used for storing contraband. Hadleigh thins out into a couple of unkempt narrow lanes leading down to the castle – and still does – and it is here in this lawless territory that the novel takes place, no more than four hundred yards from the High Street. It was always a strange piece of topography. 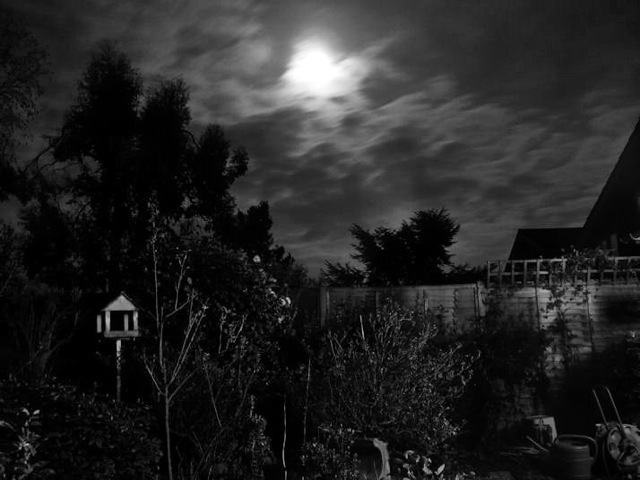 Morrison was well read in the folklore of Essex rural life and Cunning Murrell is a complicated character, part benign, part steeped in a long tradition of folk medicine and psychological intuition, equally adept as a horse doctor as a mediator between warring families. Like the real life Reverend Sabine Baring-Gould, author of the Mersea Island novel, Mehalah, Murrell was the father of up to twenty children, most of whom had been ‘lost or forgotten’. The historian Sarah Wise – whose work I admire enormously – nevertheless gave Morrison a hard time in her book, The Blackest Streets, slightly unfairly so I thought at the time. It is true that his stories about life in the East End often displayed a fear of ‘the underclass’, and over-emphasised the criminality of Bethnal Green to achieve a literary and dramatic effect, but A Child of the Jago, was and is a terrific novel, and one that inspired Alexander Baron to write his fine novel about exactly the same locale, King Dido. In much the same spirit that led J.M.Barrie to donate the royalties of Peter Pan to Great Ormond Street Hospital, Morrison bequeathed all the royalties of Cunning Murrell to the National Society for the Prevention of Cruelty to Children. First walk of the year this week, and perfect weather. Three of us ambled slowly from Benfleet-on-Sea to Leigh-on Sea, just five miles, but much to look at and enjoy. Bargain tickets on C2C trains, just £6 return to Leigh from London’s Fenchurch Street Station, with a Freedom Pass and a Senior Railcard. The train journey itself tells the story of London and its expansion to the east in accelerated time. Limehouse, West Ham, Barking, Upminster (all variations and attenuated extensions of the historical East End), until one reaches the marshlands and estuary shoreline of Rainham, the scrubland of Laindon with its motley scatterings of ponies and horses, before the train pulls directly alongside the Thames at Benfleet Creek. From then on it is open skies and vast expanses of bright water. I’ve done this train journey on and off for nearly seventy years – since a steam train used to take my mother, brother and myself from Benfleet to Barking to visit relations in East Ham in the early 1950s. While the London end of the trip is now a place of constant change and upheaval, the approach to Benfleet Creek and the view across to Canvey Island and the North Kent coast has hardly altered. Even the railway station seems much the same. As the writer William Gibson once wrote, the future has arrived but has been unevenly distributed. 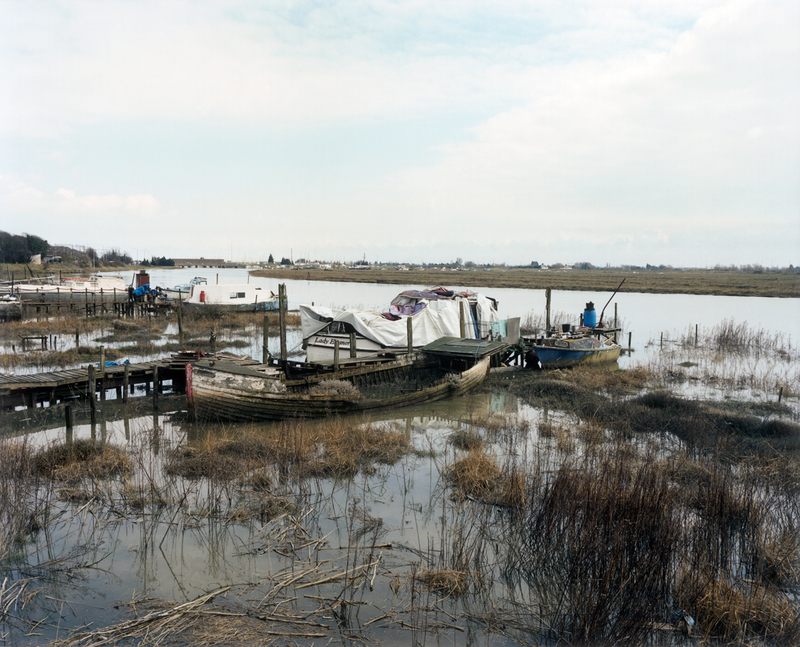 The further you travel to the Essex coastal creeks and marshlands, the further you travel back in time. A lot of the broken carcasses of old houseboats, cutters and sailing barges beached on the mud at Benfleet date back to pre-war times, if not long before. Benfleet is not only the start of the downland approaches to Leigh and Southend, but also provides a bridge to Canvey Island. From here on it is ‘neither land nor sea’. At high tide water flows in, around, behind, and sometimes all over the shoreline and its myriad tributaries and creeks. Islands, outcrops of saltmarsh, grazing land, all appear and disappear in the space of a couple of hours. 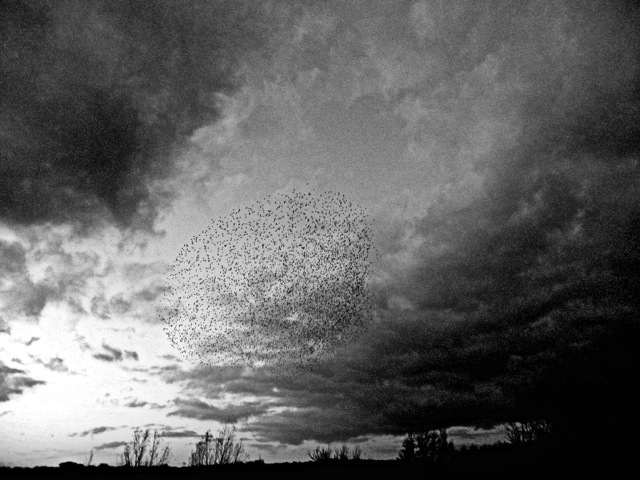 Hence the swirling clouds of waders in the sky, as their feeding grounds disappear beneath the waves, and they are forced to move further inland. This particular walk was memorable for so many of these fast-drifting swarms of dunlin, curlew and Brent Geese, the former shoaling in the air, wave after wave. The mud shines iridescent before it succumbs to the incoming tide. There is a lot of bird piping, particularly from redshanks, oystercatchers and curlew. Rather more eerily, looking out to the Thames beyond Canvey Island, backlit by the sun and therefore in hazy outline, a strange shape was seen moving slowly downriver, against the tide. It looked like the whole of Basildon or Thamesmead was being towed out to sea. In fact it was one of the vast container ships heading into the Channel from the container port, DP World: London Gateway, at Thurrock, now creating a monumental shadow theatre. Turning inland, in complete contrast, there are the dramatic ruins of the 13th century Hadleigh Castle, painted by Constable shortly after his wife died, a darkening psychological study in abandonment. On this walk however it was more a case of ‘the splendour falls on castle walls’, as a bright sun lit up the remaining and imposing corner tower. We sat for a while overlooking the western tip of Two Tree Island where the salt-water lagoons have become a thriving breeding ground for avocets, though this year’s cohort have yet to arrive. Instead, large numbers of curlew were re-grouping there. Finally arriving at Leigh-on-Sea, on what had become a warm Spring half-term holiday, the fishing village was en fête: packed to the gills. All the pubs had spilled out onto the cobbled High Street, and the seafood stalls had long queues. It was difficult to remember that it was still February. It always surprises me how too few Londoners know of Leigh-on-Sea, given that it is a proper working fishing harbour, with a picturesque collection of pubs and cafes, less than an hour from London by train. On the journey back to Fenchurch Street I suddenly remembered that some years ago I wrote up this walk for the Royal Geographical Society’s project on ‘Discovering Britain’: one of a number of ‘modest’ walks they had commissioned, and it can still be found online here. Although both editions of The New English Landscape are now out of print, there are still a few copies of 350 Miles: An Essex Journey available, though not for much longer. You can buy them here. Meanwhile the Radical Essex book is currently re-printing and the Essex Book Festival starts next week. The battle over the ‘true heart’ of Essex – the words are those of novelist Sylvia Townsend Warner – continues. In his surprisingly approving review in The New Statesman of the recently published book Radical Essex, conservative historian and journalist Simon Heffer nevertheless still wants to claim the county as inherently individualistic and materialistic. If this were truly the case, consider two aspects of Essex history that question this assumption. Firstly, the extraordinary story of public spiritedness and collective endeavor by which tens of thousands of people rallied to help others, often at great risk to their own lives, on the terrible night of the January 31st, 1953 flood. This spontaneous mobilisation has been minutely chronicled by Hilda Grieve in The Great Tide. As she reveals, the county’s population was at that time deeply embedded within an enormous range of voluntary organisations. These included the churches, the trade unions (the National Union of Railwaymen was especially active that night and during the following days), as well as the Women’s Voluntary Service, Civil Defence, Red Cross, St John’s Ambulance Brigade, Scouts and Guides groups. All of them – along with the emergency services, local government officers and workers of all ranks – responded to the crisis without a second thought to their personal risk or well-being. Grieve’s book is certainly one of the great works of 20th century English social history, and is a compelling story of human solidarity and mutual aid in the face of catastophe. Secondly, if possessive individualism were so entrenched, why would Essex today be the home of one of the most long-established and successful County Wildlife Trusts, with an unparalleled record in nature conservation involving thousands of volunteers on a record number of sites? Essex has also provided a home for many other pioneering initiatives in land settlement, along with innovative industrial and housing communities, not to a mention, finally, a singular penchant for religious heterodoxy and enthusiasm. The reality is that the county’s history has always been strongly cross-grained. However, Heffer – the man who coined the term ‘Essex Man’ for the Sunday Telegraph – is right in saying that the principle of ‘live and let live’ appears to come with the territory, but that principle allows for varying interpretations, and perhaps the matter is better left there. The discussion of national or regional temperaments and character types is dangerous at the best of times, and we are currently not living through the best of times right now. The success of Radical Essex, which was ‘flying off the shelves’ at the LRB Bookshop I was told when I last visited, is now followed by another book concerned with such themes: Tom Bolton’s Low Country: Brexit on the Essex Coast, a handsome volume illustrated with atmospheric black and white photographs. Although it treads familiar ground, it deftly seeks to understand the relationship between marginal landscapes and embattled identities and loyalties in a world of political turmoil. 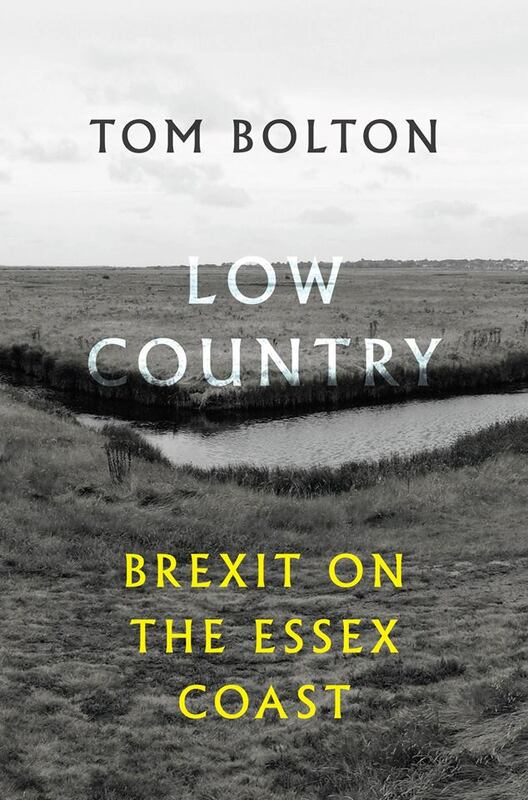 Bolton and his partner Jo took weekends away from London in the troubled year of 2016 to walk the length of the Essex coast at a time when the nation was undergoing what Bolton describes as ‘a political nervous breakdown’. Union Jacks flew from bungalow gardens, and UKIP posters, both new and old, adorned boarded up pubs and abandoned High Street shops in coastal towns and villages. While they found little personal antagonism in their encounters, an air of grievance was often palpable. Yet the terrain has always been difficult, historically suffering from the usual exigencies of farming country – agricultural depression, crop failure, animal culls, poor public transport and public services. Meanwhile the seaside towns saw their traditional visitors desert the hotels and beaches for somewhere warmer in Spain or Turkey. Bolton is alert to some of the ironies of the post-Maastricht world, finding that the winner and runner up to find the fastest fruit-picker in the annual Tiptree Strawberry Race were a Pole and a Romanian. Interest in the Essex landscape continues to grow and Bolton’s book, with its engaging style and terrific bibliography will further enhance the county’s singular appeal, the astringent nature of which surely suits the times. It is also good to welcome a new website covering much of the same territory, in the form of The Thames Estuary Library which has just gone online. Bold design, clear text, beautiful images, it does the territory proud. Go see. In the winter of 1963/64 I was working as a trainee civil engineer for Braithwaite’s, the company that excavated the foundations for the now infamous Red Road housing scheme in Glasgow. The flats were soon to become the tallest in Europe at the time, 6 point blocks at 28 storeys and 2 slab blocks at 31 storeys each. The new estate was located on the north-eastern edge of the city, on what I remember as an isolated windswept hill, which after we arrived was soon knee-deep in construction equipment, generators, portable lighting equipment, welding and oxy-acetylene cables, discharged diesel oil, slurry and occasional drifts of snow. I can be precise about the dates because I kept a dairy charting my increasing disillusionment with work and life in general. There’s a German saying that translates as: ‘Sometimes in life you realise you are on the wrong ship’. In March 1964 I gave in my notice and applied to go to teachers’ training college. Nevertheless, I did leave feeling a certain pride in contributing to one of the most ambitious public housing experiments ever to have been attempted. Today I simply feel guilty. The Red Road development came to symbolise the failure of high-rise public housing, all eight tower blocks being finally demolished by 2015, though most were vacated long before then. Yet it remains an exception to what historian John Boughton rightly says was a century of successful public housing provision for what was, at its peak, the majority of people in the UK. For every Red Road scheme there were thousands of other housing programmes that provided millions of people for the first time ever with homes of a quality and affordability that exceeded their wildest imaginings. 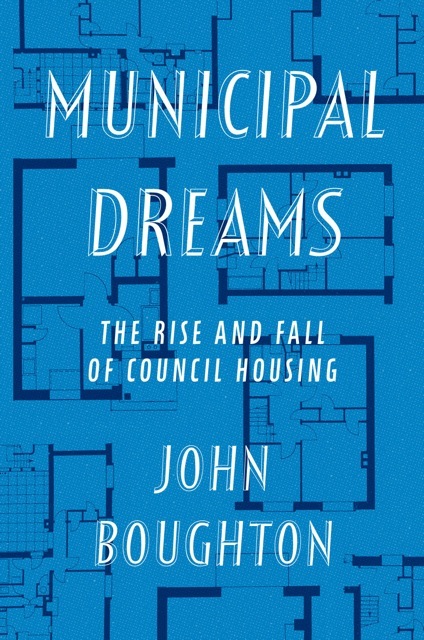 As many will know, Boughton has for the past four years produced an illustrated blog called Municipal Dreams, a labour of love already regarded as providing the definitive history of public housing in the UK. He has now written a book to accompany and extend the underlying argument, which, while lacking the beautiful photographs and exquisite architectural drawings and plans detailed on the blog, makes up for it with a clear-sighted assessment how so often municipal housing got so much right. And could do again. It was also de rigueur to blame Labour councils for espousing the cause of high-rise, system-building, when it was principally Conservative governments – a lot of whose party funds came directly or indirectly from the big construction companies – that got so excited about the quick-fix (and much cheaper) construction methods beginning to become available, as Patrick Dunleavy described in his classic book, The Politics of Mass Housing, 1945 – 1975: A Study of Corporate Power and Influence in the Welfare State, published in 1981. Boughton treads a delicate path through the labyrinthine world of 20th century housing policy, with its high turnover of ministers, incoherent policies, cynical election promises, about-turns, quangos and acronyms, cronyism and corruption. The provision of public housing should be a relatively simple idea to understand, and indeed the principle was for a while shared by all parties in local government. But that was when local authorities possessed serious political and economic muscle along with a ‘one nation’ ethos of civic responsibility. It still remains a mystery as to why council housing attracts so much opprobrium, as if it were the devil’s work. 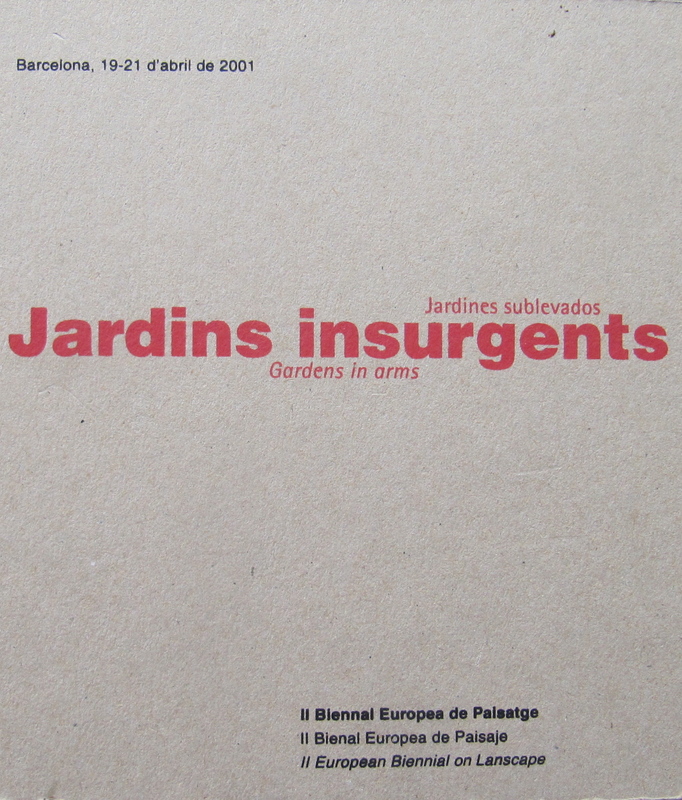 Its very existence, understandably excoriated by the right (other than for a short period following both world wars when ‘homes for heroes’ was a sentiment none dare dispute), has also been too often misrepresented in the popular imagination often by writers and film-makers who should know better (sorry, J.G.Ballard). Books such as Tony Parker’s elegiac oral history of the residents of a high-rise block in south London, The People of Providence: A Housing Estate and Some of its Inhabitants, remain rare. Of Parker’s book, Ronald Blythe wrote at the time that it was ‘the book which must be read before another word is written or spoken about the problems of the high rise estate…’ Too few people took that advice. Andrea Luka Zimmerman’s fine 2015 film Estate: A Reverie also redressed the stigmatisation in unsentimental but heartfelt ways. Tragically, it took the Grenfell Tower catastrophe to make the public and the politicians aware of just how precious and caring the milieu of a public housing estate could, at its best, be. This was particularly the case for people coming from exceptionally difficult life circumstances. The residents of Grenfell Tower made it into a community of a rare kind before it was reduced to a funeral pyre. It remains to be seen whether the lost ethos of a civic ‘duty of care’ can be recovered anew. Pavement and walkway would be quickly overrun by grass and flower, which given low nutrient status would mean highly diverse meadows. Expect many orchids. Existing grasslands and parks would grow tall, then scrub and trees invade. Lawns would take on bramble and birch, becoming scrubby wood within fifteen years. Houses would disappear, like those Mayan ruins. Solar panels would continue to generate electricity, but no one would use it; wind turbines would turn until high gales ripped them apart. Existing woods would darken to dense forest, but some would be eaten out as deer invaded in growing numbers. Many fox would survive, as would badger. Pond and swimming pool would clog with reed; there would be dragonfly and damselfly. The rivers at low bridges would be blocked with debris, water spilled over banks to create wetlands. Beaver would spread. The Conradian horror continues, as Pretty anticipates the slow extinction or reversion to a feral state of domesticated animals and livestock, the dereliction of all built structures, and ultimately the disappearance of all we thought might last for generations to come if not forever. Richard Jefferies offered a similar dystopian vision in After London or Wild England, but Pretty’s nightmare seems more credible today, attuned as he is to the latest forms of economic and technological hubris. Happily all is not doom and gloom in The East Country. The book is a vivid calendar of the seasons, as seen from the author’s garden window, widening out to reflections on walking in the wide-skied terrain of Suffolk and north Essex, home territory of most of his life. There is a kind of zen aesthetic underlining Pretty’s experience of the everyday world, stitched into place by his own short affecting poems, along with citations from Bashō’s The Narrow Road to the Deep North and writers from the Black Mountain school. Like Richard Mabey, Pretty reveals a rich taxonomic imagination in his knowledge of indigenous and migrant flora and fauna to be found in the region – he is a distinguished environmental scientist in his own right – which makes his concern with continuing environmental degradation prescient and trustworthy. I could not believe I fell asleep in a dream. Nothing in the dream was reference to any place in the known world. Some of the descriptive passages in what is a composite almanac derived from a number of years of observation can be dated from the weather extremes described – the summer when temperatures reached 35 plus degrees for days on end, the winter when it rained continually for more than a month, drowning all the fields, or a recent November evening when high tide on the East Anglian coast briefly reached 1953 disaster levels – causing Pretty to wonder whether seasonality, as once celebrated, is losing its symbolic and therefore emotional resonance. Change is constant in the region, though now less patterned by the weather, and not always for the worst. The climate will certainly grow warmer but there may be more extreme weather events. The little egret is here for good, and no doubt other exotic birds will follow. A well-known advocate of re-wilding, Pretty looks forward to the return of sea eagles to the Suffolk coast – a small compensation in an uncertain environmental future, but uplifting nevertheless. For much of the twentieth-century the literature of landscape and place was in the hands of conservative thinkers and writers – extremely so in the case of the notorious James Wentworth Day – and it is rewarding to see how the terrain has been secured today by more generous and outward-looking imaginations, as is evident in this deeply felt and open-hearted book. Fifty years ago this month, in December 1967, a somewhat reclusive office-manager living with his wife in a council house in Chelmsford received a telegram informing him that he had been awarded the prestigious Duff Cooper Memorial Prize. This was for an outstanding work ‘in the field of history, biography, politics or poetry’, and followed shortly after the Yorkshire Post’s ‘Book of the Year’ award. The publication was called The Peregrine. Its author was J.A.Baker, or John Baker as he was known to family and friends, and carried the dedication ‘To My Wife’. Sadly Baker’s fame was short-lived. 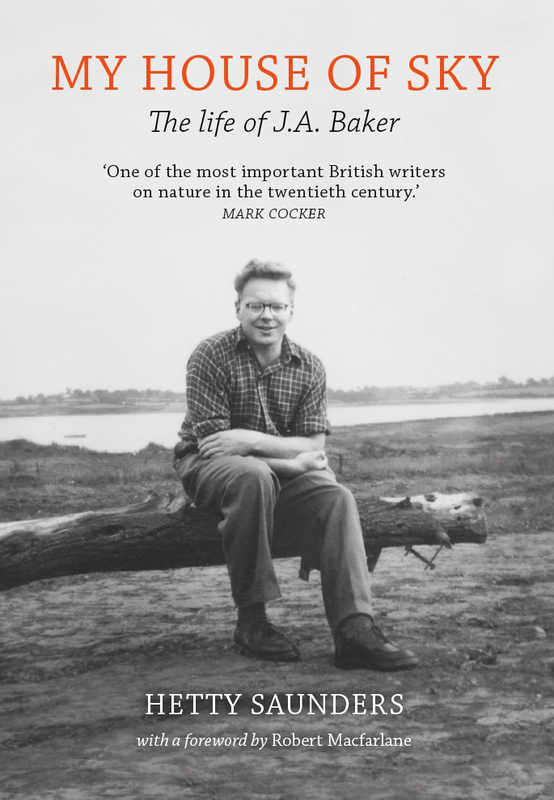 He suffered from chronic ill-health, but such spare energies he possessed were spent on the great passion of his life, and that was bird-watching in a landscape that he marked out and inscribed as his own: east of Chelmsford along the River Chelmer and out to the Blackwater Estuary. For most of his adult life he walked and cycled this barely populated waterland, but in his last years of failing health his wife Doreen drove him to his favourite haunts by car. All this has changed. With the publication this month of Hetty Saunders’ beautifully written and illustrated My House of Sky: The life and work of J.A.Baker, we can now appreciate the man – supported by the ever-present Doreen – who despite considerable personal difficulties produced one of the most ecstatic works of human defamiliarisation in the English language. At a packed book launch at the LRB Bookshop recently, Saunders, Fanshawe and Macfarlane, chaired by Gareth Evans, each spoke in awe-struck tones of the continuing power and intensity of Baker’s writing, now supported by an extensive archive of Baker’s letters, diaries, maps, photographs and artefacts collected together at the University of Essex, examples of which are reproduced in the book together with a series of photographs by Christopher Matthews. Two themes dominated the evening’s discussion. The first was Baker’s increasing animistic identification with the world of the peregrine; it was raised by one audience member asking: ‘Is The Peregrine about the bird or about J.A.Baker?’ The consensus was that it was both – that the two were somehow indivisible. The second was the degree to which Baker’s own ‘optics’ were those of someone who had taught himself to see from above. 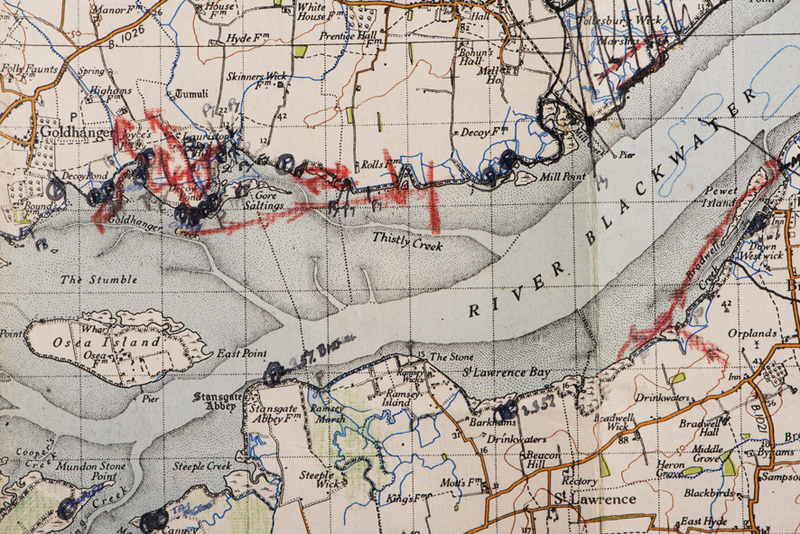 It was noted that he possessed a large collection of Ordnance Survey maps, the contour lines of which often heavily underlined, together with a collection of aerial photographs of the Blackwater estuary and peninsula. Detail of one of Baker’s Ordnance Survey maps marked with contours and peregrine sightings. The map forms part of the J.A.Baker Archive at the University of Essex. I was prompted to these thoughts by Robert Macfarlane’s suggestion – citing the poetry of H.D. and T.E.Hulme – that while Baker loved the Romantic poets, his own work showed the influence of Imagism. Macfarlane also threw in Cubism as another ingredient, which itself had strong connections with Futurism. This aerial perspective – of vertiginous, multi-planar landscapes seen from the air at speed – is the characteristic subject of the ‘Aeropittura’ paintings of Italian futurists such as Alessandro Bruschetti, Gerardo Dottori and Bruno Tato. So perhaps Baker’s aesthetic was a sighting of that rare species: rural modernism? Some years ago a journalist claimed that for the first time in history the living outnumbered the dead. It sounded plausible, and I seem to remember that in his exquisite essay, Urne Buriall, Thomas Browne also raised this possibility. But it is not true. Nevertheless the weight the dead bring to bear upon the living is heavy, and this is what the historian Thomas Laqueur sets out to demonstrate in his monumental history, The Work of the Dead. ‘This book begins with and is supported by a cosmic claim,’ Laqueur writes. ‘The dead make a civilization on a grand and intimate scale, everywhere and always: their historical, philosophical, and anthropological weight is enormous and almost without limit and compare.’ There follow nearly 700 pages of closely argued text detailing the many ways the dead have shaped if not determined the world of the living, focusing disturbingly at times on the sheer material ‘uncanny’ of the corpse itself, often possessing more agency when dead than when alive. One of the more obvious ways the dead exert their continuing presence in the world is visually, in the form of dolmens, standing stones, burial mounds, churchyards, cemeteries, memorials or a variety of other commemorative structures, inscriptions, and dedications. My regular 141 bus ride from Stoke Newington to Liverpool Street Station is hallowed by many such memorials to the dead, whether the plaque for Mary Wollestonecraft at Newington Green, the closed Jewish Cemetery along Balls Pond Road, memorials to John Wesley and William Blake at Bunhill Fields (and close by, the unique Postman’s Park, which memorializes those who gave their lives to save others), or the sombre lists of railway staff who died in the First and Second World Wars at Liverpool Street Station. Also on the station concourse are two statues commemorating the arrival there of the Jewish kindertransports from Germany at the outbreak of WW2. This is not all. Any train out of Liverpool Street heading into Essex passes through several miles of burial ground (over 60% of public open space in the borough of Newham is cemetery land), before arriving into open country. This historicizing of the landscape makes it human, or as Patrick Wright once said, you can’t have a city without ghosts. The Work of the Dead is divided into four sections: The Deep Time of the Dead, The Places of the Dead, The Names of the Dead, and Burning the Dead. Starting at an anthropological level, relating the long history of changing belief systems to the treatment of the dead body, the book comes closer to our own times when the Reformation challenged the intercessionary power of the Catholic church as the gate-keeper of the after-life. We began to die alone. The revolutionary epoch in France and the creation of the secular cemetery at Pere-Lachaise in 1804, helped bring mortality into the modern age: a name and a private burial plot for all. This is more or less where we stand – or lie – today. Section II charts the rise and fall of the churchyard and its displacement by the civic cemetery. This is relatively familiar material, though Laqueur’s detailing of the process of physical decomposition recorded at the time in many overcrowded churchyards across Europe – which led to the sanitization of burial beyond the city limits – makes grisly reading. Much more intractable material is yet to come in Section III. The horrific accounts of the aftermath of the Napoleonic wars, of imperial conquest and mass slaughter, the carnage of the First World War, and then the numbing detail of the mechanics of mass extermination and cataclysm of the Holocaust, all bring the scale of human ‘disposal’ to unimaginable limits. As the author frequently reminds the reader, while it is acceptable to think positively about an individual death – its aetiology, its social meaning, and its material conclusion – mass slaughter remains almost impossible to ‘process’. The ‘emotional economy’ of war and genocide is beyond meaning. Laqueur concludes with some harsh things to say about the enthusiastic adoption of cremation in the 20th century – ‘a breathtaking exercise in disenchantment’ – a position I have also come to, having spent time thinking about the rites and rituals of death in the modern world. The abrupt destruction of the human form seems too traumatic, leaving nothing to build upon in the way of architectural response, let alone as an important element in the human landscape. Architecture began with tomb, and landscape has so often been given memorable form by the burial mound, the public memorial or the cemetery. Yet few crematorium gardens possess any emotional depth at all. 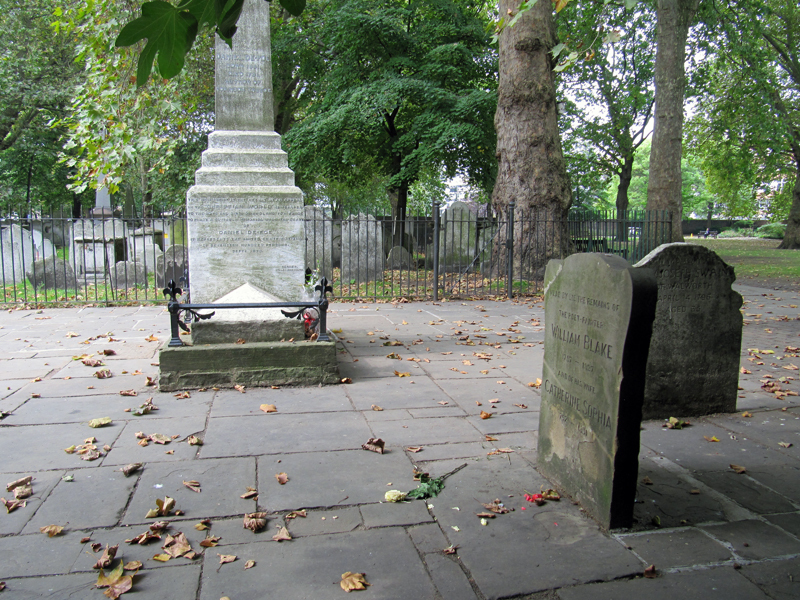 If as Laqueur suggests, the churchyard is a Gemeinschaft (community) and the cemetery is a Gesellschaft (society), the crematorium garden or columbarium is a kind of bank vault. Laqueur’s book is a major work, though at times it makes for difficult reading, with its unflinching gaze upon the brutality of war and genocide, invariably accompanied by a callous indifference to human suffering en masse. It also ends suddenly, without any discussion on the growing trend for ‘green burial’, on the re-use of the grave space (common in Southern Europe where bodies are immured in wall tombs for as little as ten years before being removed and the space used again), or any wider observations on attitudes to mortality and personal memorialization in present times. The dead lie heavily in the clay in Laqueur’s study, though on their contested and disrupted presence above ground in the modern city – roadside memorials, white bicycles, inscribed park benches, graffiti and protest marches – the author has little to say. Because there are few stories to compensate for the dark matter of the subject, it was disappointing to find no mention of one of the kindlier accommodations for the dead, the Friedhof der Namenlosen (Cemetery for the Nameless) in Vienna, where bodies recovered from the River Danube were buried with appropriate ceremony as an act of human solidarity. Death is both a catastrophe but it also the defining mark of being human. 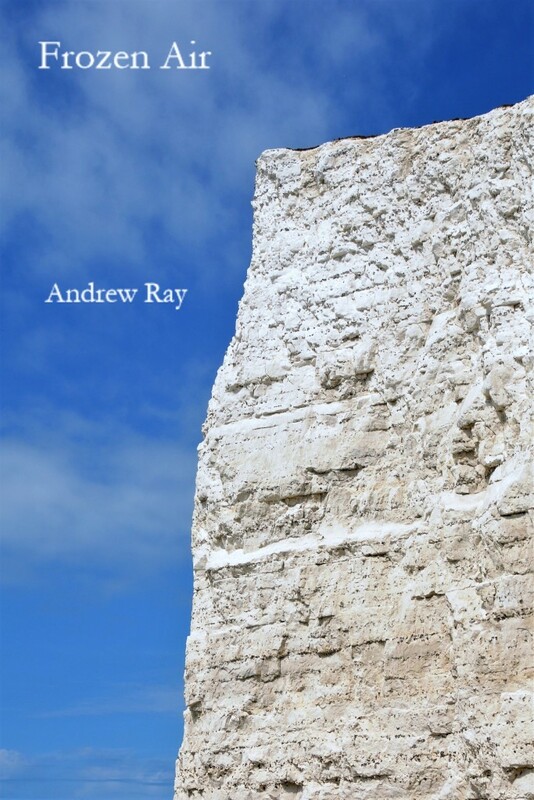 Readers of Andrew Ray’s pioneering blog, Some Landscapes, about to reach its thousandth posting, will be pleased to learn that he has just published his first book. Frozen Air is a collection of sixty-five epiphanies, recalling walks in and around the Seven Sisters cliffs in Sussex, close to where the River Cuckmere meanders through the Downs to the sea at Birling Gap. Ray’s tutelary spirits are W.H.Hudson and Richard Jefferies, both of whom rhapsodized about the Sussex Downs and the dream-like, undulating chalk escarpment which comes to an abrupt end at a precipitous cliff edge. He is a worthy successor to Hudson and Jefferies, writing a clear, unostentatious prose, erudite, un-rhetorical, complemented by his own black and white photographs. The prose style befits the landscape: eerily quiet, treeless, clothed in a springing, thyme-scented turf, and truncated by a dizzying prospect of the sea wrinkling far below. In recent years I’ve been able to admire the distinctive white outline of the Seven Sisters cliffs from the deck of the Newhaven-Dieppe ferry during an annual outing to Dieppe for a weekend of Anglo-French club cycling. Known as the ‘Dieppe Raid’, every June cyclists gather to ride and commemorate the failed landings in 1942, when thousands of Allied troops – mostly young Canadians – died within minutes of staggering onto the beach, in a tragic rehearsal for the D-Day landings two years later, which proved successful. The Dieppe coastline closely mirrors the distinctive chalk cliffs of the Sussex coast – unsurprisingly, since they were once joined – and Frozen Air is astute on some of these topographical and cultural echoes: possible examples of morphic resonance? Proust holidayed in Cabourg (shortly to become the fictional seaside resort of Balbec in the greatest novel of the 20th century), located directly opposite the Seven Sisters, while Debussy worked on La Mer whilst staying at the Grand Hotel in nearby Eastbourne. There was more than a touch of Victorian bohemianism on both sides of the channel, what with Wilkie Collins, Charles Dickens, Walter Sickert, Edwin Lutyens, and other Francophiles busy in and around Dieppe and Varengeville. The sea divided English and French sensibilities but it also, paradoxically, joined them closer together, as Frozen Air reminds us. Underscoring the collection is an abiding interest in aesthetic form – something returned to frequently on the author’s blog – of which these miniatures, with titles such as Inverted Cascade, Formless Stones, Prospect and Refuge, Insensate Folly, are a delight. One of just many of his eclectic influences is the French minimalist writer, Francis Ponge, cited approvingly here as the pre-eminent poet of the pebble, the seashell and the inanimate scree. Other cultural references range from Derrida to Quadrophenia, Frank Bridge to Caspar David Friedrich, stitched into the writing seamlessly. I missed though any reference to the distinctive smell of the seashore at low tide. In an otherwise melancholic description of the beach at Hope Gap with its ‘pockmarked and stained’ chalk boulders ‘covered in a pelt of vivid green seaweed’, I was expecting an evocation of the insidious smell of the scummy wrack and dank rock-pool sediment – rich with associations of the primeval, protozoic slime – which gives the seashore its unique sense of being another world. But this is a small quibble about an absorbing collection of beautifully observed topographical aperçus, which add another chapter to the complex and unfinished history of the psychic relationship between landscape and Englishness. John Grindrod’s lively and engaging performance at this year’s Stoke Newington Literary Festival suggested there might be more to his new book about the history of the Green Belt than the subject, and the book’s title Outskirts, first indicated. There is. Much more. Interwoven with a fascinating history of the controversial 20th century land-use planning device designed to stop cities spreading out and merging with each other is a moving and gripping evocation of a childhood lived on the edge of society, geographically and psychologically. Inside the erstwhile architectural historian is a fine novelist struggling to get out, for the personal story is by far the strongest element of the book, and is beautifully accomplished. Grindrod grew up in New Addington, a council estate on the outskirts of south London, literally ‘the last road in London’, overlooking farmland and woodlands. This was both exciting and slightly scary for a young family, whose parents had grown up in the narrow terraced streets of Bermondsey. While most family members soon adapted to the sense of freedom, the large open skies of the adjacent farmland resulted in long-term agoraphobia for one of John’s brothers. To make matters worse, both parents suffered from chronic illnesses. For all of John’s life his mother was confined to a wheelchair, except when out in her Invacar, while his father endured the anxieties of periods of unemployment, along with taking responsibility for his wife’s care. It was a loving family but a deeply troubled one, afflicted by illness and anxiety. The question at the heart of the story is: did being so close to the green belt version of ‘nature’ make things better, or possibly worse? While many other recent books in this widening genre of landscape and nature writing mix a personal story with an effusive description of the redemptive power of the natural world, Grindrod’s book is more complex – perhaps because the terrain itself is so intractable. After all the greenbelt means all things to all people, and while it does have a material reality, Grindrod perceptively describes it more as a ‘thought experiment’, an imaginative construct that possesses more emotional resonance as an idea than as a distinct type of landscape character. In his travels in and around the green belt, Grindrod is surprised to find that ‘much of it isn’t green at all, of course. Gravel pits. Landfill sites. Factories. Refineries. Motorways. Service stations. Caravan sites. Victorian mental hospitals. Sewage treatment works. Prisons. Airfields. Glasshouses. Solar farms.’ On the other hand it often possesses more bio-diversity than the farmland it is supposed to protect. If the hybrid nature of the green belt is problematic, so too is its status as sacrosanct territory, especially at a time of increased population growth and household diversity. Sooner or later people will have to choose between even higher-density urbanism (more tower blocks anyone? ), a second generation of new towns, or increased suburbanisation. 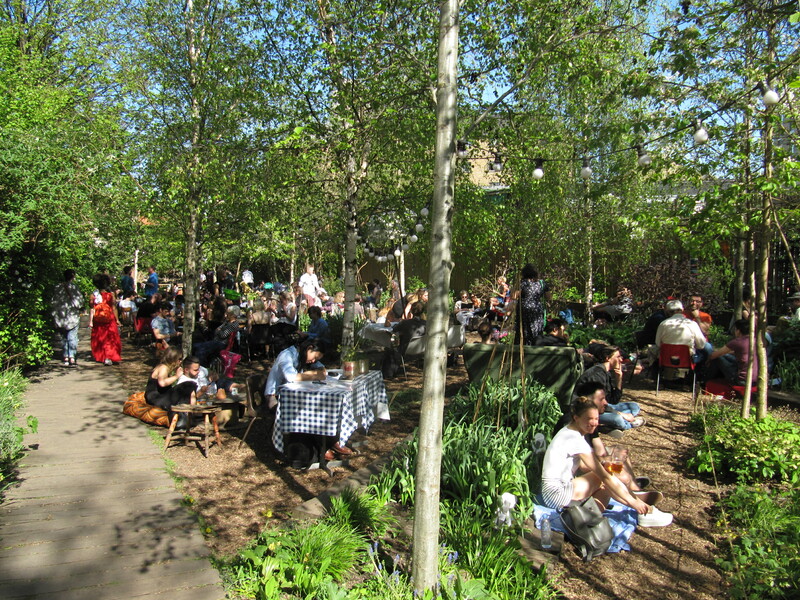 Interestingly, the informal settlements established between the wars by the self-builders and working class plotlanders – the opportunistic shack and bungalow encampments, chalet settlements, houseboat communities so loathed by the planners and advocates of the green belt – are the initiatives now most admired by radical housing activists and libertarians. Surely some experimentation in low-cost, self-build settlements could be a valid use of the green belt in the future? 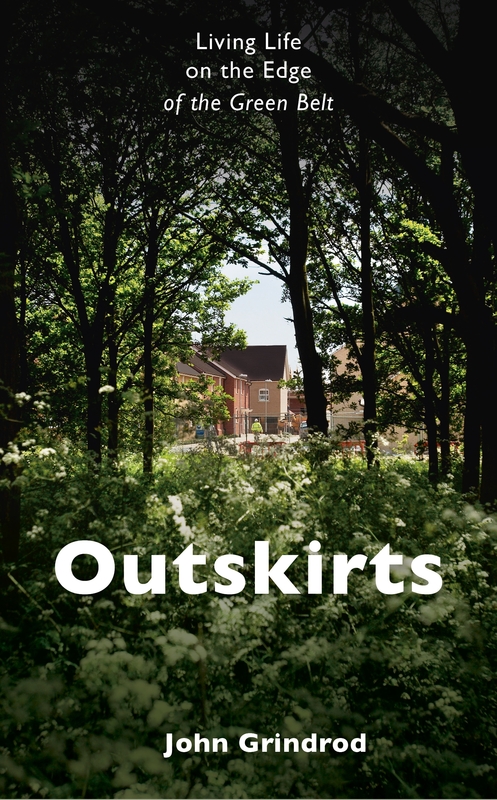 Outskirts is a good read, mixing land use history with an absorbing family story of growing up in difficult circumstances. The one story Grindrod misses is whatever happened to the ‘white belt’? This was the term used by planners after the First World War in London to describe the demand for a ring of cemetery land around the capital to cope with a need for more burial space. The rapid rise of cremation saved the day, amongst whose most fervent advocates were town planners themselves. But that’s another story.